Bengaluru Rural District is one of the 30 districts of Karnataka. 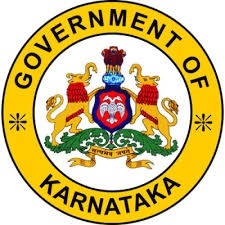 It was founded in 1986 and Bengaluru was split into Bangalore (Rural) and Bangalore (city). Currently in Bengaluru Rural district, there are 2 divisions, 4 taluks, 35 hobbies, 1,713 habitat and 177 densely populated villages, 105 gram panchayats. The proximity to Bangalore city has its own influence on the district, Has a substantial population of population. Rural people are largely agricultural, though area, service and IT industries are increasing with the arrival of SEZs. Devanahalli is 95 billion Devanahalli Business Park near Bangalore International Airport. According to the 2001 census, the total population of the district is 1,881,514, of which 21.65% of the city is population density per km2 to 309 persons. The Bangalore Rural District has a population of 22.5% of Scheduled Castes and Scheduled Tribes. Hinduism is the main religion of this district. Bangalore Rural district is mainly a agricultural district, with a wide range of industrialization, dairy development and silk farming.